We offer a range of Albendazole. 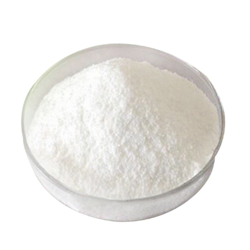 A benzimidazole anthelmintic, insoluble in water and soluble in alcohol. 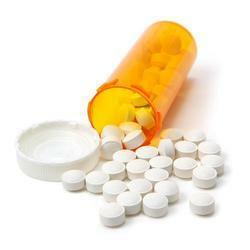 Albendazole is highly effective against round worms, lung worms, tape worms and liver flukes. It is effective against immature and mature worms. It is safe in young, old and debilitated animals and poultry. Parasitic helminths must maintain an appropriate feeding site, and nematodes and trematodes must actively ingest and move food through their digestive tract to maintain an appropriate energy state, this requires proper neuromuscular co-ordination. The pharmacological basis of the treatment of helminthes generally involves interference with one or more of these functions that is destruction of energy process and subsequent starvation of the parasite or neuromuscular co-ordination leading to paralysis of the parasite and its subsequent expulsion. Benzimidazole acts in the same manner. Inhibition of enzyme in the glycolytic pathway. Inhibiting the breakdown of excitatory neurotransmitters by mimicking the action of the excitatory transmitter. Major gastrointestinal nematodes of ruminants. Whip worms of ruminants, pig, dog and cat. Lung worms of horse, ruminants, pig, dog and cat. Bladder worms of dog and cat. Tape worms in dog, cat and ruminants. Cattle15 g .per 100 kg. b.wt. Horse,Camel & pig 10 g. per 100 kg. b.wt. Sheep & Goat 2 g. per 20 kg. b.wt. Dog & Cat 2 g. per 10 kg. b.w. Horse,Camel & pig 6 ml per 30 kg. b.wt. Cattle 30 ml per100 kg. b.wt. Sheep & Goat 6 ml per 30 kg. b.wt. Horse,Camel & pig 5.0 mg per kg. b.w. or 1.5 g. bolus for 300 kg. b.wt. Cattle 7.5 mg.per kg. b.wt. or 3.0 g. bolus for 400 kg.b.wt.